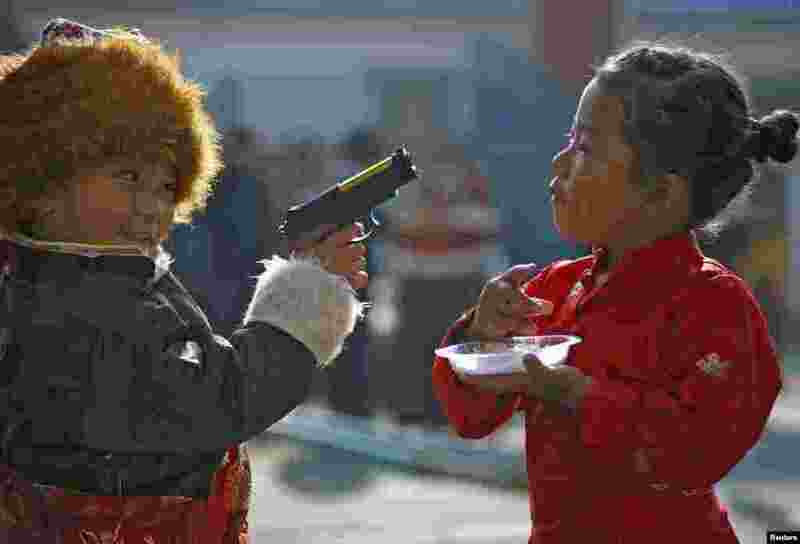 1 A Tibetan boy points a toy gun towards a girl during the function to mark "Losar" or the Tibetan New Year at a Tibetan Refugee Camp in Lalitpur, Nepal. 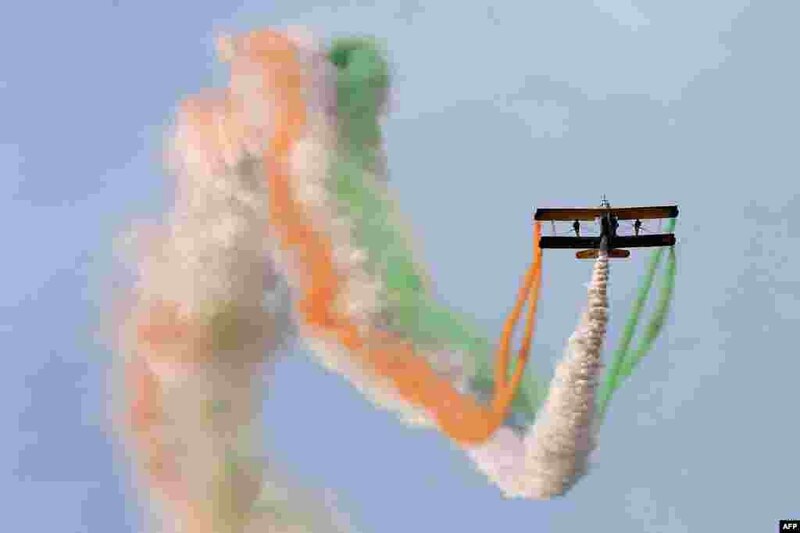 2 Catwalk or Skycats of the Scandinavian Aerobatic Team leave a trail of Indian tri-colour smoke as they perform aerobatics during the second day of the Aero India 2015 at the Yelahanka Airforce Station in Bangalore. 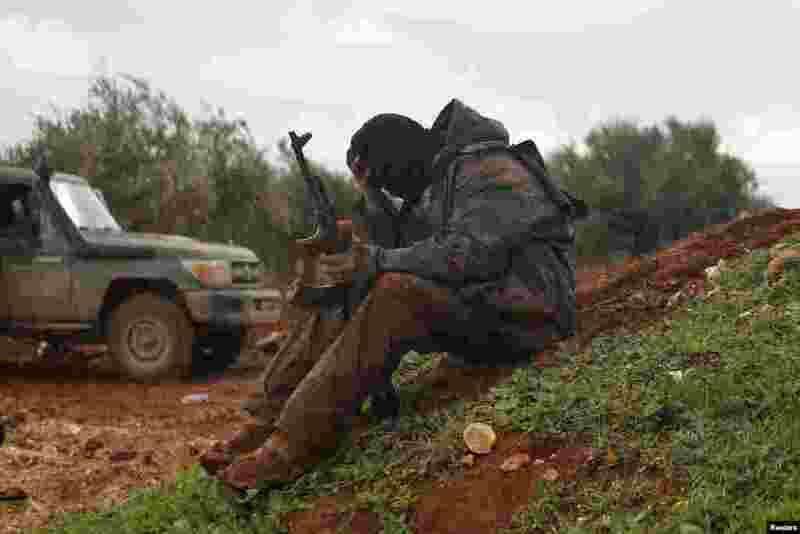 3 A rebel fighter of al-Jabha al-Shamiya (the Shamiya Front) covered with mud sits near the front line in Bashkuwi village, north of Aleppo, Syria. 4 A girl dressed in a Hanbok, a Korean traditional costume, stands in front of a barbed-wire fence, as her parents prepare for a memorial service for North Korean family members, near the demilitarized zone separating the two Koreas, in Paju, on the occasion of Seolnal, the Korean Lunar New Year's day.